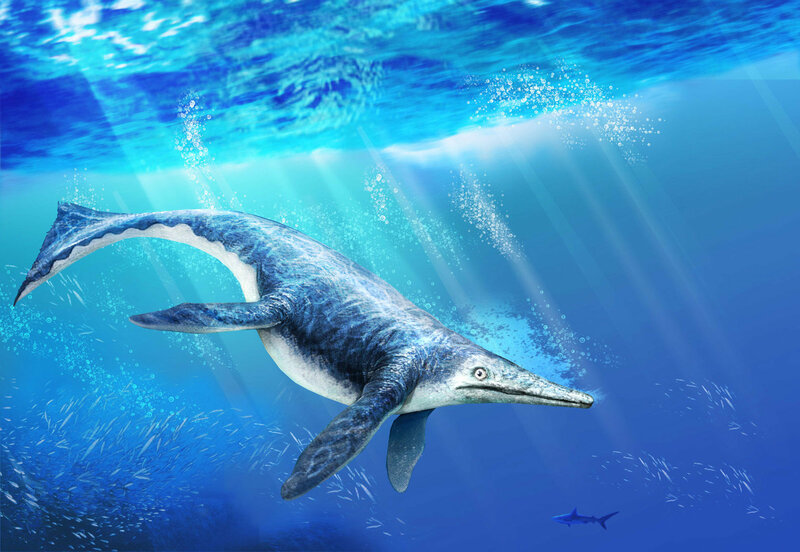 Shonisaurus is a marine reptile which lived approximately 215 million years ago during the Late Triassic Period. It was first discovered near the Shoshone Mountains of Nevada in 1920, however, these fossils weren’t officially excavated until 1954. That is when Charles Camp and Sam Welles excavated them. 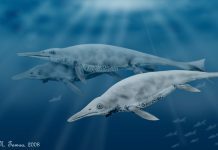 After extensively studying them, they named these fossils Shonisaurus in 1976 – named after the Shoshone Mountains in which they were found. 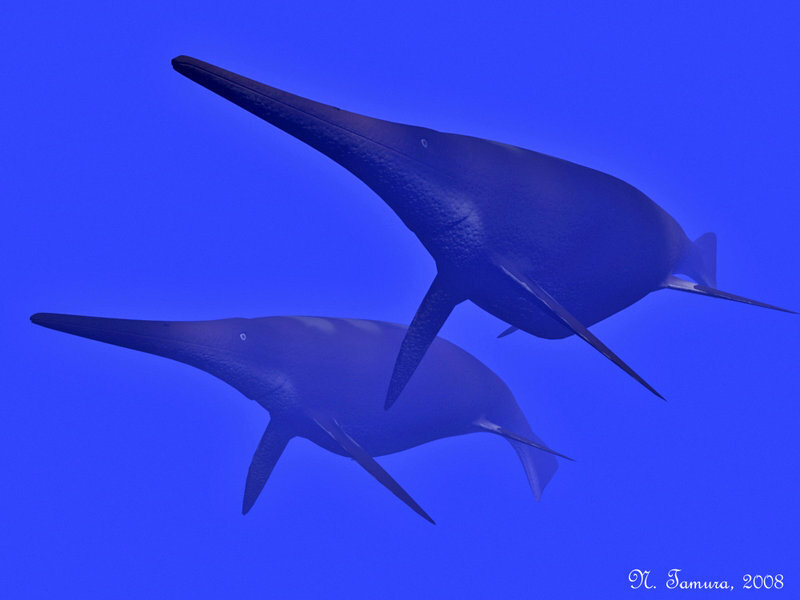 Shonisaurus pictures show how unusual this marine reptile looked while it was alive. It sort of looked like a dolphin that was kind of tubby, except it would have been way bigger than today’s dolphins. It was approximately 50 feet long and weighed around 30 tons – or 60,000 pounds. That made it heavier than 3 elephants or 2 sperm whales. 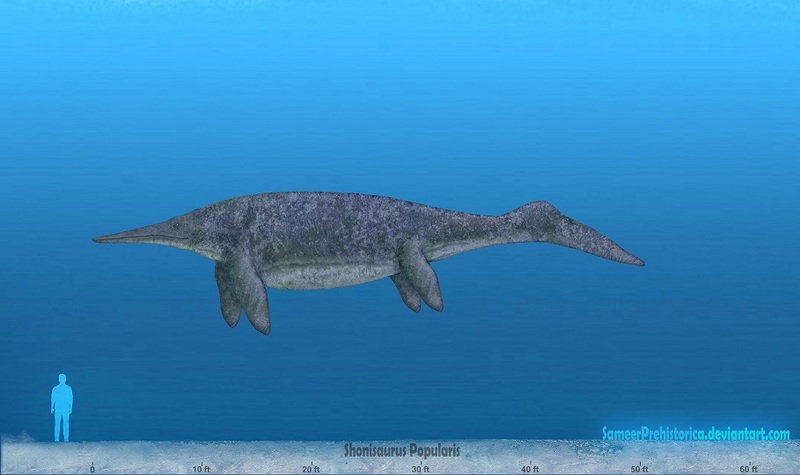 One of the most fascinating facts about Shonisaurus, however, isn’t its enormous size but its teeth – or more accurately stated, its lack of teeth. 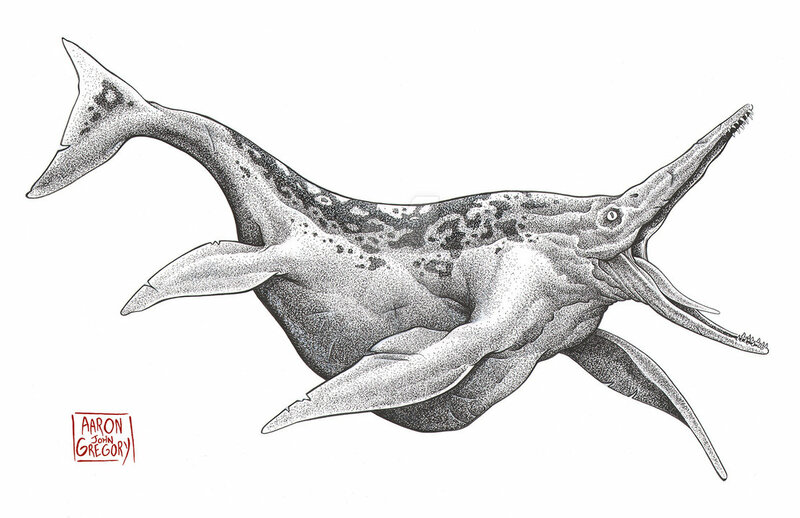 It would appear that young Shonisaurus were born with teeth and these teeth would eventually fall out as they grew older. Paleontologists believe that was because older Shonisaurus didn’t need teeth and the juveniles only had them to give them an early advantage until they grew large enough to not need them. 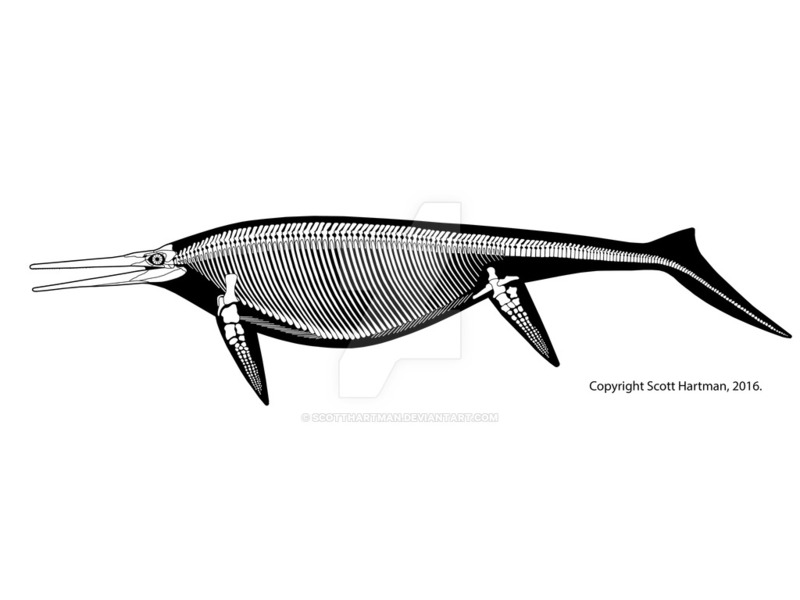 Another interesting fact about this marine reptile is that it appears to not have had a dorsal or sail-fin. 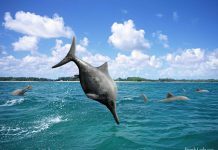 That means that it probably didn’t have the maneuverability of a dolphin or other similar marine animal. 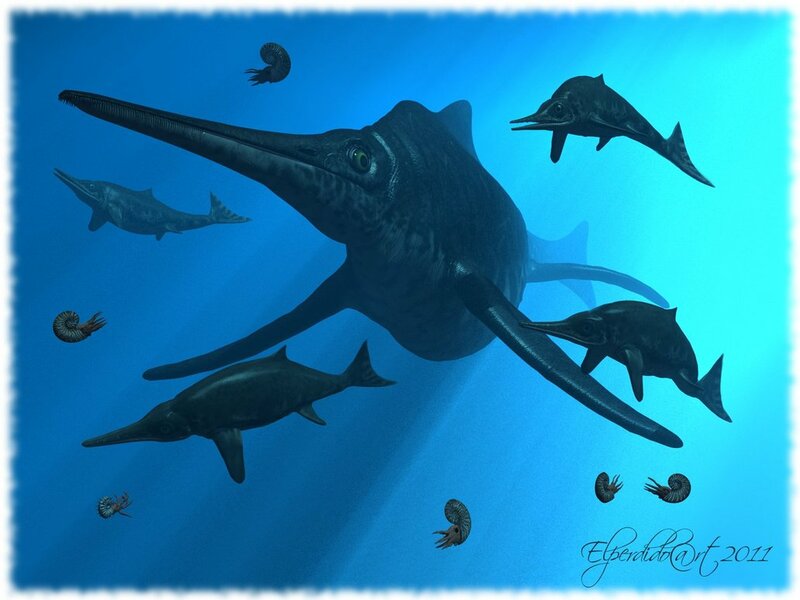 This would ordinarily have made it vulnerable to predators, however that probably wouldn’t have been a concern for Shonisaurus because its immense size most likely would have protected it from predators. 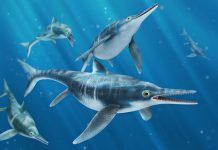 Paleontologists believe that this marine reptile lived off of a diet of fish, squids and other primitive cephalopods of the time. And it probably would have had to have eaten quite a bit of them to maintain its rather enormous size.